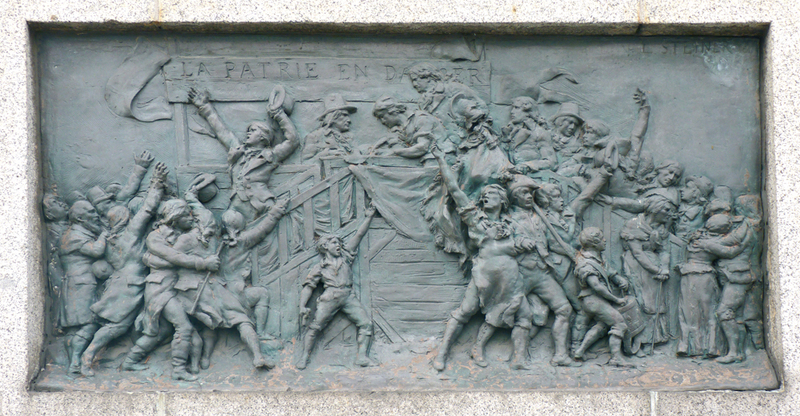 During the Third Republic (1870-1940), symbols borrowed from the French Revolution of 1789 were systematically used to serve as affirmations of republican governmental power and control: the initials “RF” standing for “République Française”, the Tricolore, the Fasces, etc. In that same republican spirit, the cities erected monuments dedicated to the glory of the great men so as to show their allegiance to the Republic. 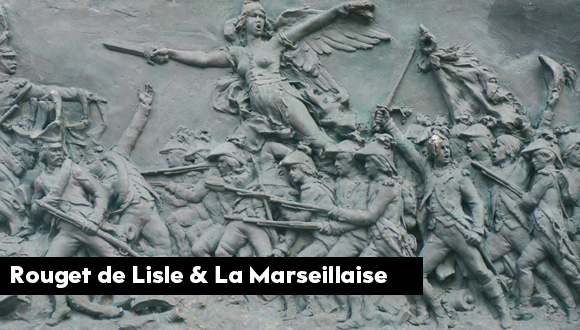 On 14 February 1879, La Marseillaise was proclaimed France’s national anthem. 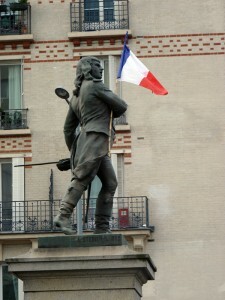 In 1880, in the cities of Choisy-le-Roi and Lons-le-Saunier, a national campaign was set up for a bronze statue of Rouget de Lisle. 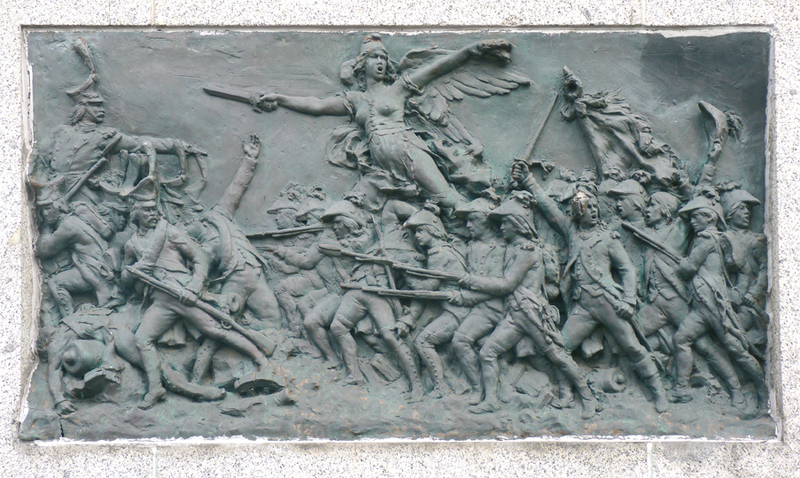 In 1882, the General Directorate of Fine Arts commissioned Clément-Léopold Steiner (1853-1899) for a bronze statue. 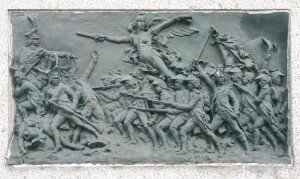 The Parisian sculptor was awarded a first-class medal at the Salon of 1884 for his plaster sculpture of Rouget de Lisle. 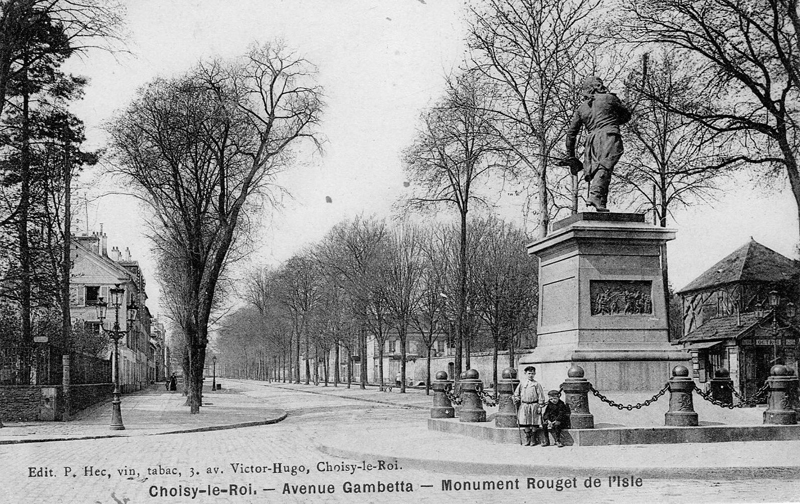 The statue in Choisy-le-Roi where Rouget de Lisle spent the last years of his life was unveiled on 23 July 1882. The statue in Lons-le-Saunier, the hometown of Rouget de Lisle, was unveiled on 27 August 1882. 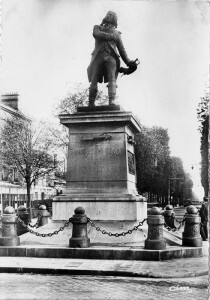 The statue was initially placed in the middle of the crossroad between Rue du Pont (nowadays, rue Jean Jaurès), the avenue de la République (avenue Léon Gourdault), rue du Faubourg Saint-Eloy (avenue Gambetta) and avenue de Paris (boulevard des Alliés). On 28 January 1942, the statue was confiscated by the army of occupation that requisitioned all non-ferrous metals. Subsequently, the local merchants emptied all their shop windows where they placed a photograph of the statue and black crepe mourning on one of the corners. After consulting with the dignitaries of the city, Georges Migneau, who served as mayor of Choisy-le-Roi from 1936 to 1943, intervened with the German authorities in order to propose the delivery of an equivalent weight of copper in return for the statue that was placed again on its pedestal in the middle of the crossroad. 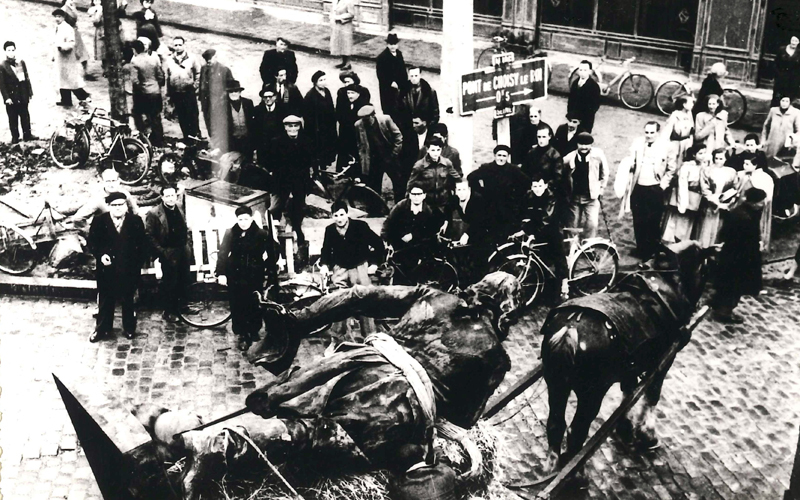 On 10 October 1951, the city council made the decision to relocate the statue which was a potential problem because of traffic congestion at the crossroad. 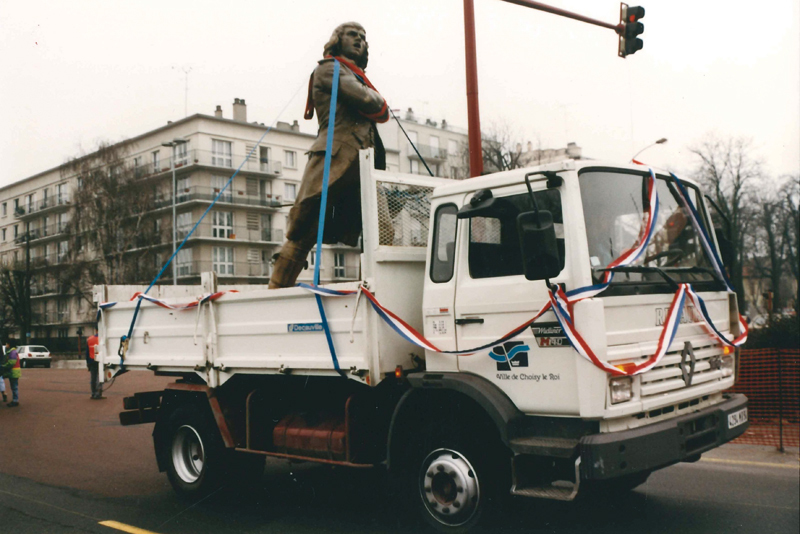 The statue was dismantled and partially put together in the centre of the Place Foch, without its entourage. 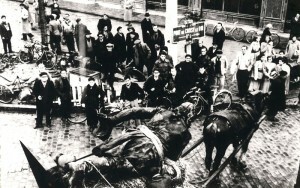 In 1973, from February to July, the statue was dismantled once more and stored in the right wing of the police station. 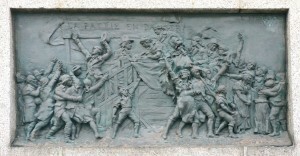 Later on, its pedestal was transferred to the park of the city hall. On 25 July 1973, the statue was put back on its pedestal. In 1992, the statue was relocated to its original site, right in the centre of the crossroad named after Rouget de Lisle.